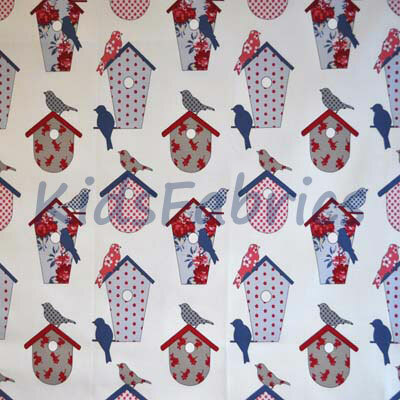 Hollyfield animal fabric in Blue. 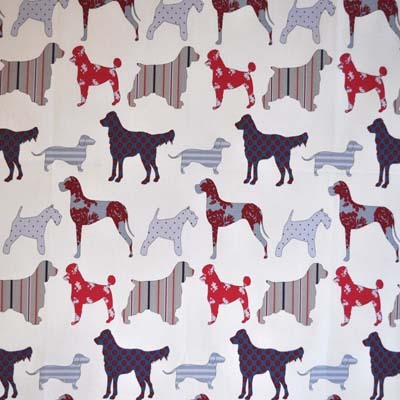 French Poodles, Retrievers, Scotties, Dachshunds and Great Danes in red, blue and grey. Animals on ivory white background.